I shot this 1974 Triumph TR6 under the setting sun one October day in 2005 in Sioux City, Iowa. I added the reflection using a software filter program from Flaming Pear called "Flood". 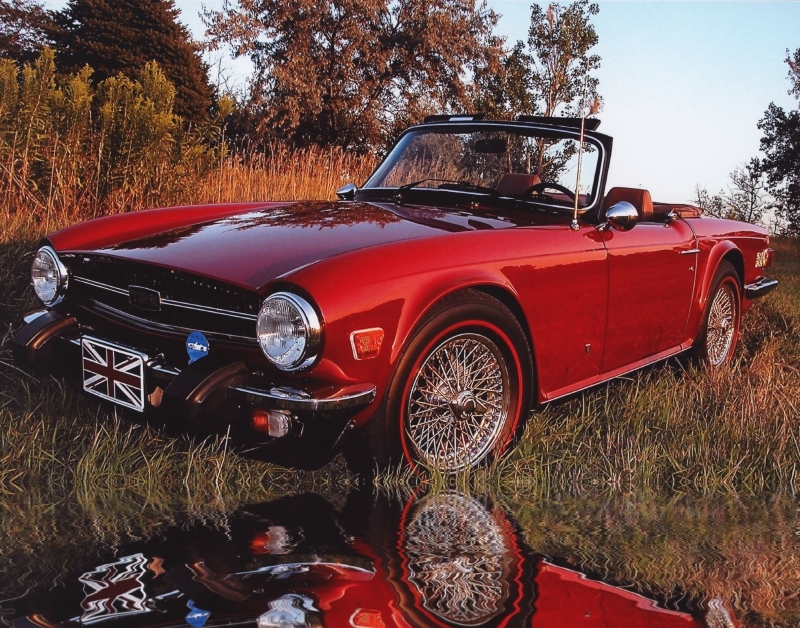 I was captivated by the stunning color of this British sports car under the setting sun. I call this image simply "1974 TR6"